Belgrave View is an incredible place to stay if you’ve decided to take the plunge into the world of higher education in Birmingham. We go out of our way to ensure you have a truly unforgettable university experience – for all the right reasons. Belgrave View is right in the middle of Aston University, the University of Birmingham and Birmingham City University, so you’ll never have to miss a lecture! If you fancy experiencing the real Birmingham, the city centre is just a 15 minute walk away, packed with shops, restaurants and local attractions. Find out about the Bronze Rooms on offer at Belgrave View in Birmingham. With en-suite bathrooms and all-inclusive bills, we're sure you'll love it here. Studying at BCU or University of Birmingham? You'll love the all-inclusive Silver Rooms at our Belgrave View village. Find out more here. Check out the Gold Rooms at our Belgrave View village in Birmingham. Our all-inclusive en-suite facilities are stylish, comfy & spacious. Find out more. 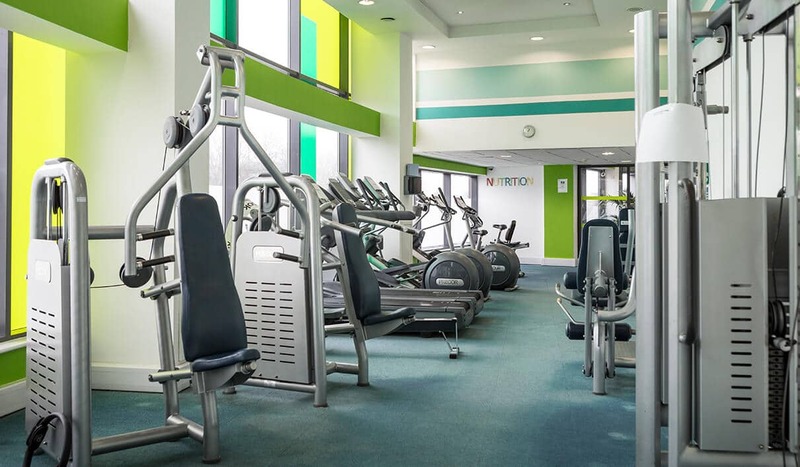 Get more information about the extra-large Platinum Rooms at our Belgrave View village in Birmingham. Book your all-inclusive en-suite room right here. What types of accommodation are available in Belgrave View? We have a fantastic range of different room types for you to choose from depending on your budget. Our Bronze, Silver, Gold and Platinum en-suite rooms all have good-sized beds, shared kitchens and comfy living areas so you can make friends and food - the perfect combination! 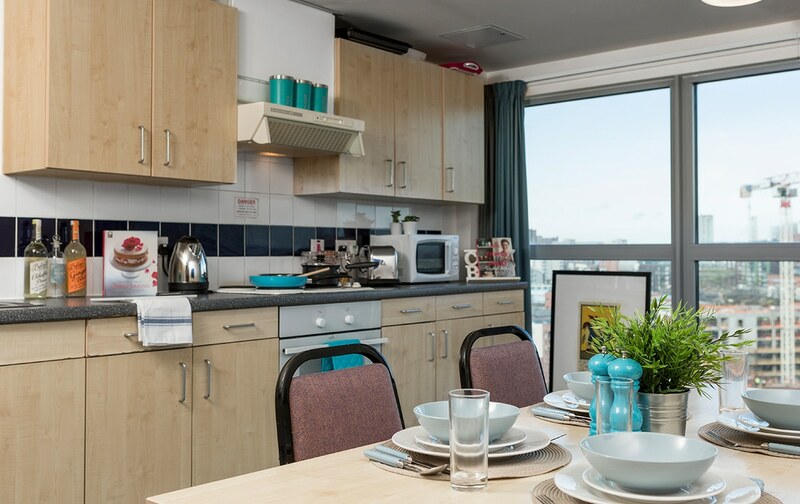 The spacious kitchens have a cool breakfast bar and dining table so whether you’re starting your day with a speedy bowl of cornflakes or enjoying a roast dinner with your flatmate family, you’ll have everything you need for an awesome living experience. Our bright and airy rooms offer the ideal relaxation space for you to come home to after a long day of studying or exploring. With wardrobe, shelving and furniture provided, you’ll have plenty of space to put your sentimental items from home (even framed photos of your pet cat). All of our contemporary rooms come with electricity, water, internet and contents insurance included, so you don’t have to worry about getting your bills paid on time once rent is out of the way. There is 24-hour security/support on site and our added bonuses are out of this world, if we say so ourselves. From parcel service and FREE on-site gym to bike storage and a laundry room, you’ll have no trouble settling into this homely environment. Find your room today. If you’ve chosen to study in this well-loved city, then you have come to the right place to find your new home!